This is the no holds barred, no corners cut, no excuses member of the Wolftrax family. Built to aggressively attack any line you choose down the mountain, or up the mountain for that matter. Light snappy trail geometry with the added damping that only carbon provides makes this a perfect choice for any type of riding you plan to do. 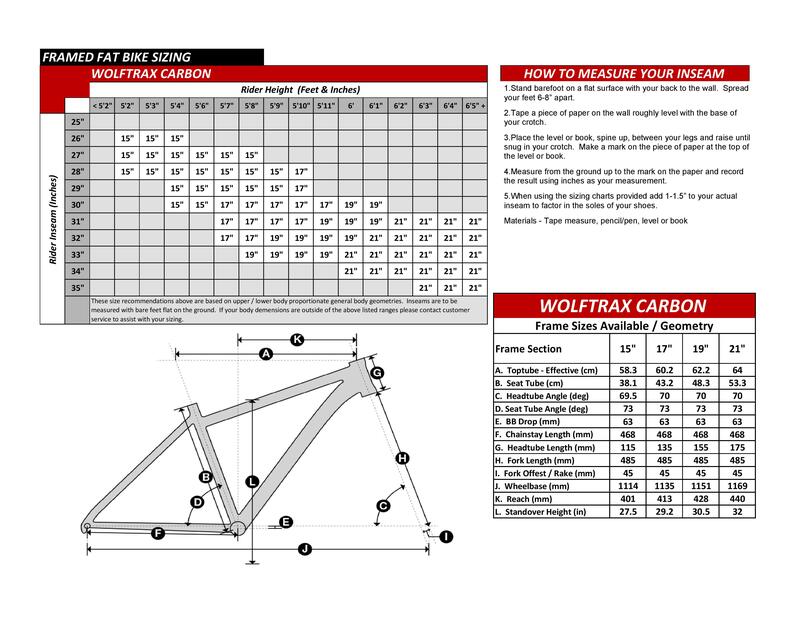 Our a la carte building process allows you, the buyer to control what you want on the bike. No more changing parts out after the fact, you build it the way you want it. Custom is now available to everyone. SRAM GX Eagle - The Eagle™ 1x12 drivetrain signals an exciting new era of freedom and the next level of uncompromising performance for enduro racers and aggressive trail riders. Watching the world’s best racers use our parts to battle against nature, physics and time itself, has inspired us to supply them with the most advanced tools we can develop. Eagle™ takes everything you love about our pioneering 1x drivetrains and increases its wear life, toughness, precision, smooth and silent operation. Add to that the 10- to 50-tooth, 12-speed, Eagle™ cassette, and you have a range of gears that gives you the freedom to enjoy the benefit of 1x in any terrain, any location and at any speed. Eagle™ is drivetrain freedom—how you exploit it is up to you. ROCKSHOX BLUTO Fork - You’ve probably observed more and more riders are on bikes that look “different” on your trails. 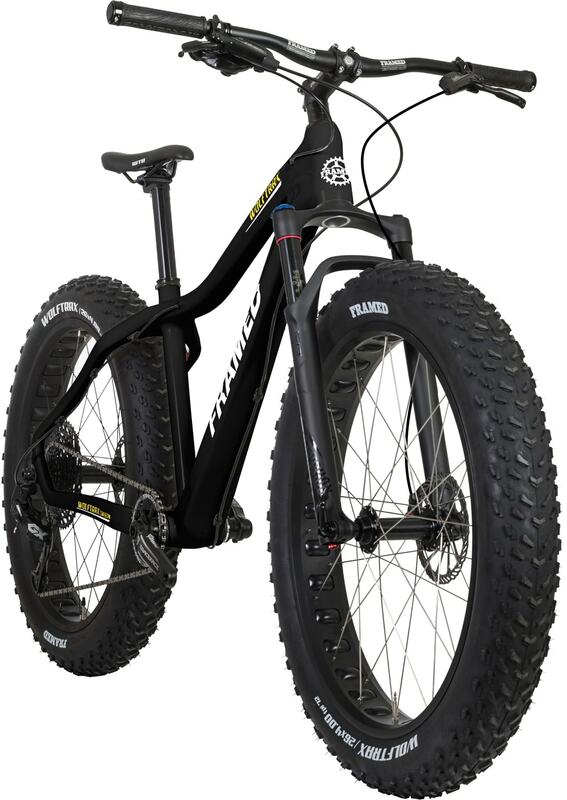 Bikes that have wheels and tires of gigantic proportion – and we’re not talking about 29ers here. The thing is, even though fat bikes were created to float on top of sand and snow, they’re just too damn fun not to ride on dirt. 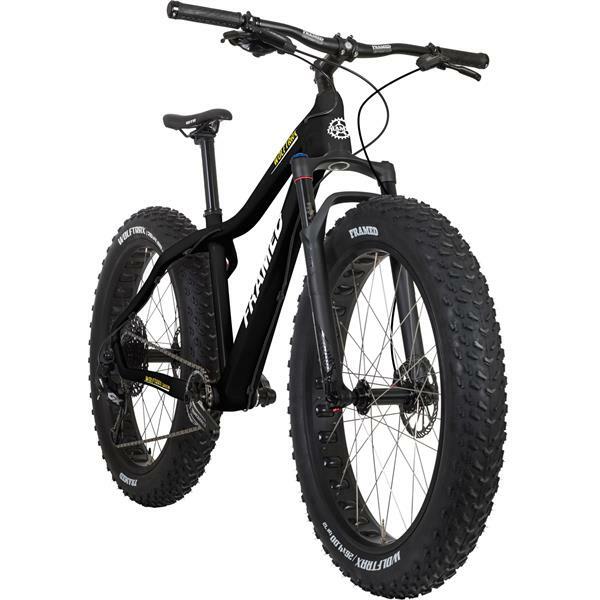 So how do amplify your fat bike adventures even further? With a supercharged, ultra efficient, first of its kind fat suspension fork called BLUTO. Featuring a rebound adjustment and lock-out. Frame: FRAMED Exclusive Carbon Frame 197x12. EFBE approved, integrated headset, replaceable derailleur hanger, water bottle cage braze-ons, internal cable and housing routing. Fork: RockShox Bluto Suspension fork; 100mm Solo Air Spring, turn key damping, tapered steerer 1-1/8" to 1-1/2", post disc mount.150x15mm thru axle, post disc mount. Fits wheels from 26" x 4.8"